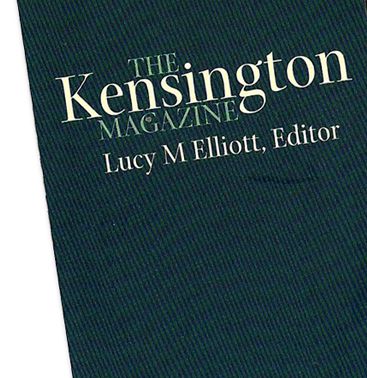 Lucy Elliott, Editor of The Kensington Magazine, with a monthly readership of over 30,000. 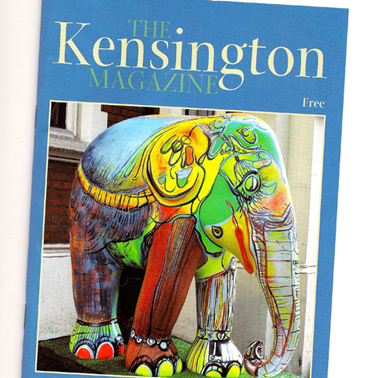 Lucy is a local Kensington resident, dedicated to promoting businesses within London's W8 area. 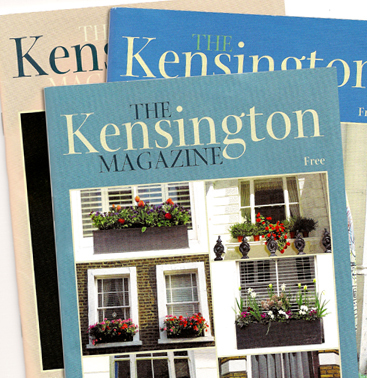 The Kensington Magazine is distributed as a letter box drop off by a professional distribution agency, and is also available through prestigious retailers such as Waterstones, Virgin, Waitrose, Marks & Spencers and Whole Foods Market. 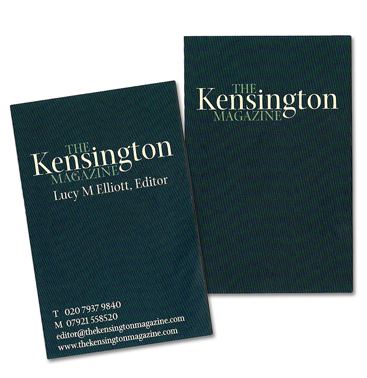 When the magazine was re-launched under the new name of 'The Kensington Magazine', Lucy wanted to upgrade the look and feel of the publication. Karen was asked to create a Business Branding Colour Palette to provide a consistent colour palette for the magazine, business stationary, and right through to the website. "I had previously thought I had a good 'eye' for colour, but I hadn't appreciated the visual impact 'tones' can make to printed stationary, but even more so, to a magazine front cover and website"
The process started with Lucy completing the Business Branding Colour Questionnaire. This information was analysed and the Business Personality and its harmonious colour group identified. 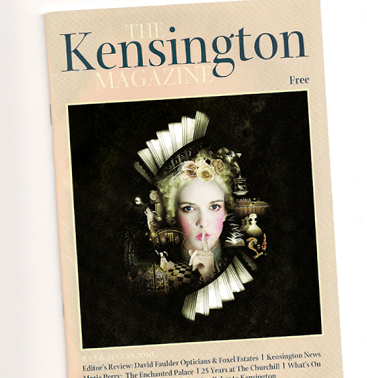 The Business Branding Colour Personality for The Kensington Magazine was identified as Autumn, encapsulating her brand values of high integrity, reliability and passion in supporting her valued clients. "The response from our readers and advertisers has been wonderful. The magazine has a strong brand presence in the area, and as a result of the re-brand we have gained new and very prestigious clients. 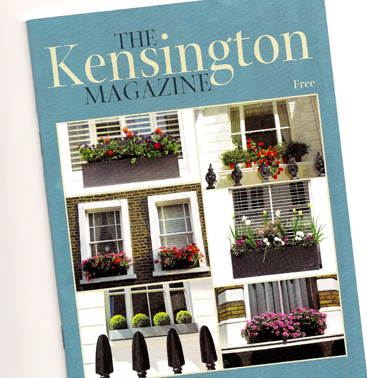 Although we knew what kind of look we wanted, it has been the 'tonal' effect that has brought about such compliments, particularly on our front covers each month." Lucy's graphic designer successfully incorporated this colour palette when designing the new logo and business stationary to great effect. Having trained Lucy to identify other colours within the same Autumnal colour family, she has successfully and consistently produced stunning magazine covers on a monthly basis. Learn more about how colour in communication and colour psychology can work within your business.